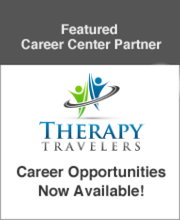 Great SLP- CCC Job in the LA area for next school year! The Stepping Stones Group is currently interviewing Speech Language Pathologists for the 18/19 SY in Los Angeles, CA! We are looking for a SLP for a school-based position in Los Angeles for the 2019-2020 School Year. This is a large district - potentially itinerant assignment. This is full-time 37.5-40 hrs/week. Population preferences will be considered.